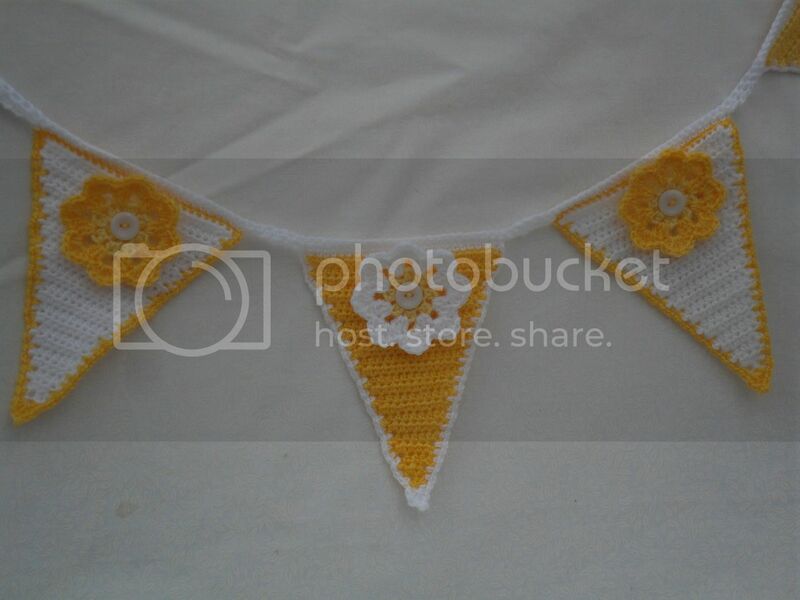 and one smaller sunny string with crochet flowers. very good - what do you do with them? 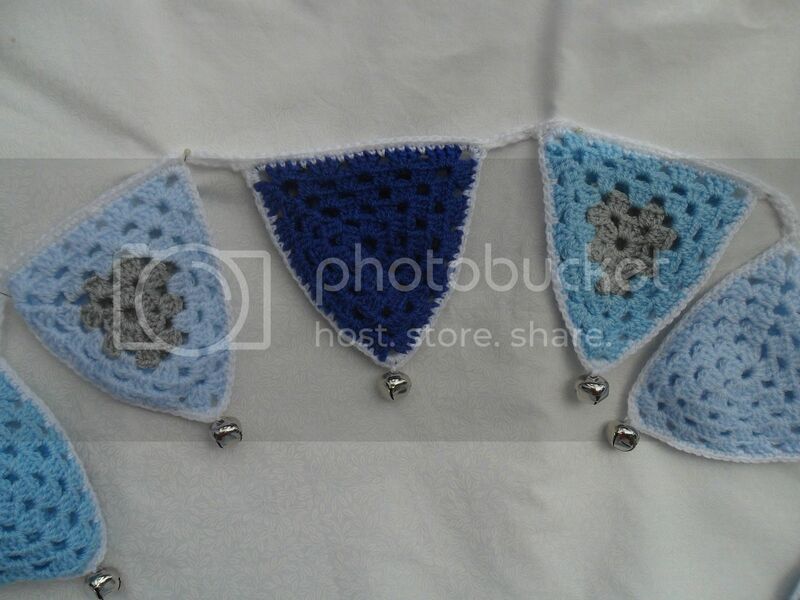 The blue one was for a customer who's having a blue themed birthday party. But I've made two strands so one has gone into my shop. However they do remind me of bikini tops. 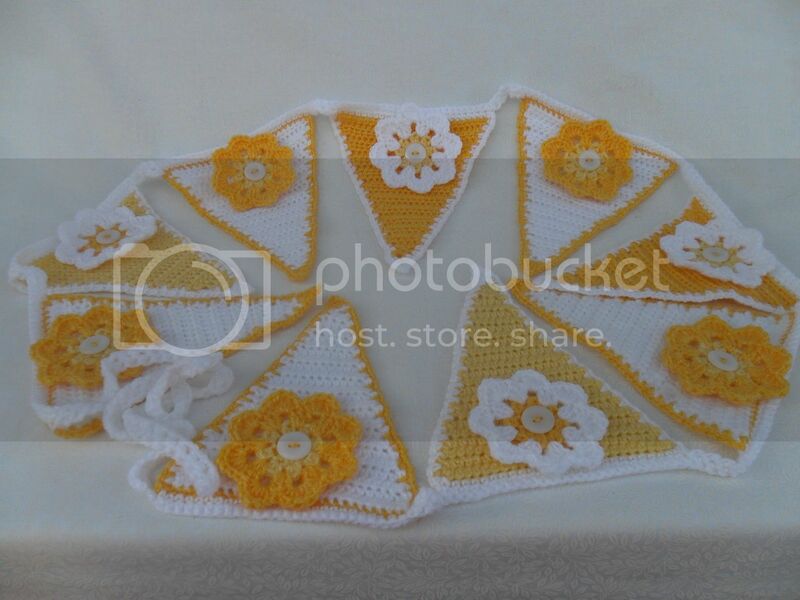 I think my auntie had one in the 70's that was made of crochet triangles. It was beautiful until it got wet!! Haha! I remember those crochet bikinis! 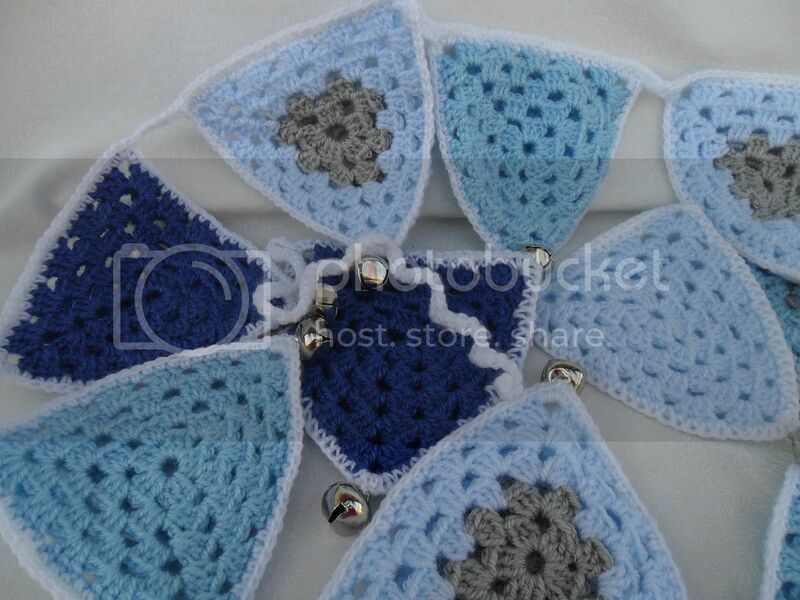 Like the one with bells - would be good baby gift.